Alexey Botvinov is an exceptional pianist in our time. The most famous Ukrainian pianist, Botvinov is one of the best specialists in Rachmaninoff music worldwide. But his deeply expressed, suggestive artistic interpretations of all major piano styles make him extraordinary performer whatever he plays. He is the only current pianist who performed Bach masterpiece “Goldberg Variations” more than 300 times live on stage. Alexey Botvinov performed in over 40 countries. People's Artist of Ukraine, in his country’s press he enjoys such words like “symbol of high spirit” or “true mark for authentic sense of music”. His concert in Kiev Philharmony Hall was acclaimed in 2006 by Ukrainian press like the best music event of the year. 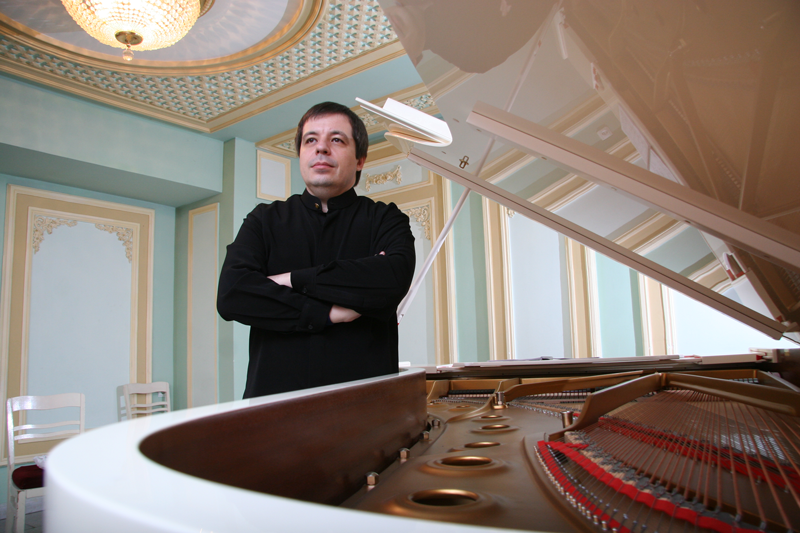 Alexey Botvinov was born in all-musicians family in Odessa, where he studied with Prof. Mogilewskaja and later at the Conservatory of Odessa with Prof. Kardaschew. 1987-89 he was a student at the Moscow Conservatory with famous Prof. Gornostayeva. He is a prize-winner of such important piano competitions as the 1st Rachmaninoff-Competition in Moscow, the 8th International Bach-Competition in Leipzig and the 1st Clara-Schumann-Competition in Düsseldorf. In 1993 he played Tchaikovsky's First piano concerto for the opening of the concert season at the Tonhalle Zürich with the Radio Symphony Orchestra Moscow under the baton of Vladimir Fedoseyev, which was highly acclaimed by the press and by the audience. During the years 1994-96 Alexey Botvinov lived in Düsseldorf (Germany), where he was asked to perform Bach's "Goldberg-Variations" and Schumann's "Kinderszenen" with the ballet productions by the famous choreographer Heinz Spoerli. Meanwhile artistic cooperation with Heinz Spoerli continued in Zurich from 1996 to 2012 with over 20 different ballet productions at music by Bach, Mozart, Schumann, Brahms, Chopin, Schnittke, Stravinsky etc. with great acclaim. Pianist was on many tours with the Zurich Balett in Germany, Austria, Switzerland, Italy, France, Spain, Great Britain, Russia, Japan, Canada, South Africa, China etc. with huge success. For his breathtaking performance of "Goldberg-Variations" ballet in June 2001 at the Deutsche Oper Berlin the press wrote: “a real firework at the piano” (“Berliner Kurier”). “Le Figaro” wrote about pianist’s CD of “Goldberg-Variations” - “Superbe!” . This recording landed on 2nd place in Swiss music-charts. Next recording- “Botvinov plays Rachmaninoff” (2002 ) was acclaimed as “ the best classical recording of the month” in Switzerland. 2009-2010 Botvinov was Artistic Director of Odessa National Opera Theater. During that time he initiated two very successful new productions – opera “Turandot” - director C.Von Goetz (Germany); and ballett “Nureyev forever” with solo piano by A.Botvinov. They were very first modern-concept productions for Opera Theaters in Ukraine at all. In 2011 Patriarch of All Ukraine Vladimir presented to Alexey Botvinov The Orden of Saint Dimitry for “his great achievements for Culture in Ukraine”. Recently Botvinov explores new ways of presenting classical music. Among his new innovative projects “Visual Reality of Music”, where music and visual effects have converted a traditional concert into an amazing multimedia mystery. Project was presented 2009 in Moscow, Kiev ,Odessa and other cities with over 10.000 spectators . All the major outlets were raving about magnificence of “Visual Reality of Music”. 2010 Botvinov started unique “Goldberg Reloaded” –project, where Bach masterpiece combines with oriental rhythms by world star-percussionist Burhan Ocal. Concerts in Moscow, Paris, Istanbul and at Montreux Jazz-Festival became sensational success by audience and specialists. 2011 Botvinov created another highly innovative project – synthesis of Drama Theater and classical concert. Basing on new novel of a leading modern Russian writer M.Shishkin “The Light and the Dark”, Botvinov made his debut as a theater director in art-project, where his solo performance harmonizes on stage with two drama actors. 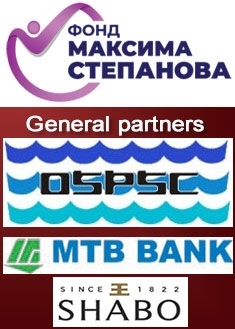 Highly successful in Russia and Ukraine project coming soon at Europe stages. Premiere of German-speaking version went with great success in Zurich, December 2012.